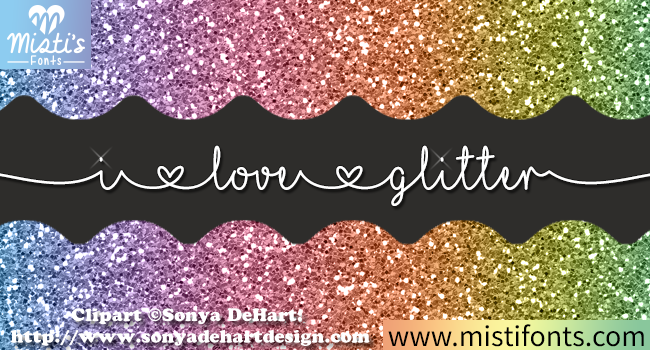 The stunning MF I Love Glitter font by Misti Fonts. Please note that this is NOT a font you install, instead you will get every letter in the following formats: SVG, PNG, DXF & EPS. Looking for the installable version? Click here. This cute handwritten fonts with connecting hearts is great for creating personalized items.